2. 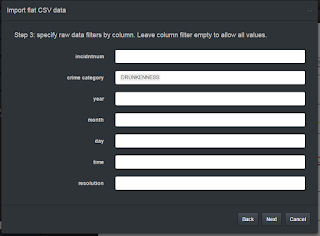 On Wizard screen #3 (filtering), leave all fields blank - we do not need any filtering. 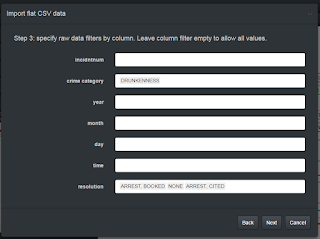 It would be nice to see if there is a seasonal pattern in DRUNKINNESS offense. 2. 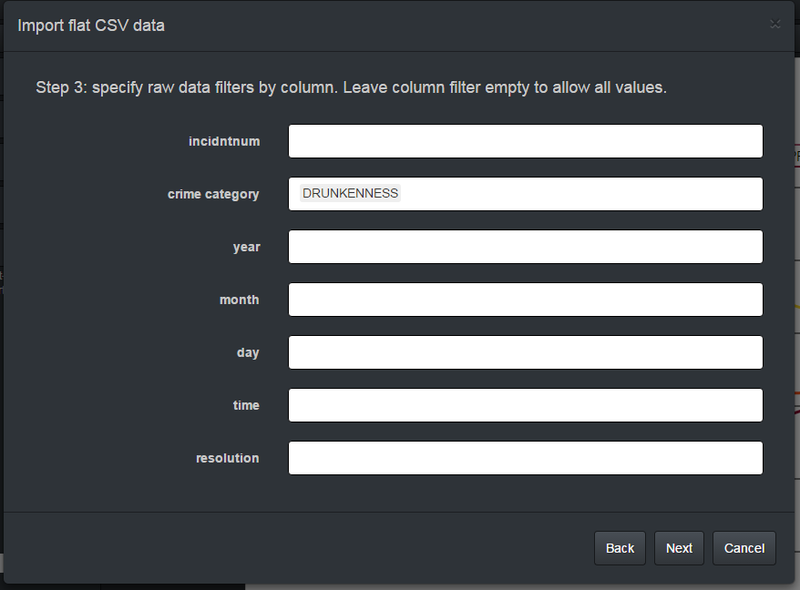 On Wizard screen #3 (filtering), select crime category - DRUNKINNESS. Apparently, we did not discover any really interesting patterns here. No spikes on big holiday months. Maybe just a crackdown on drunkards in May-Oct 2013. 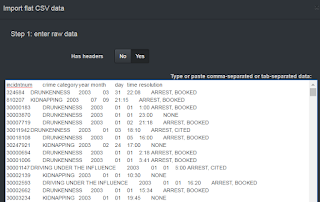 Finally, it would be nice to learn how SF police deals with the offenders. 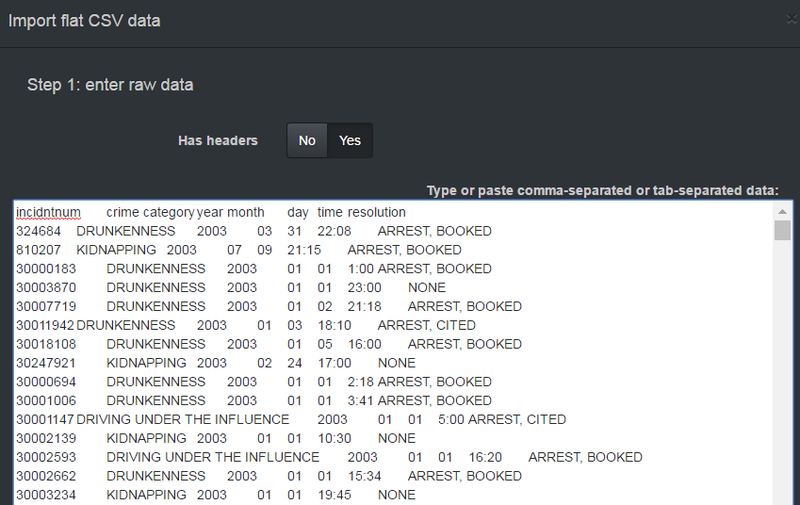 Let's add incident resolution to the picture. 2. 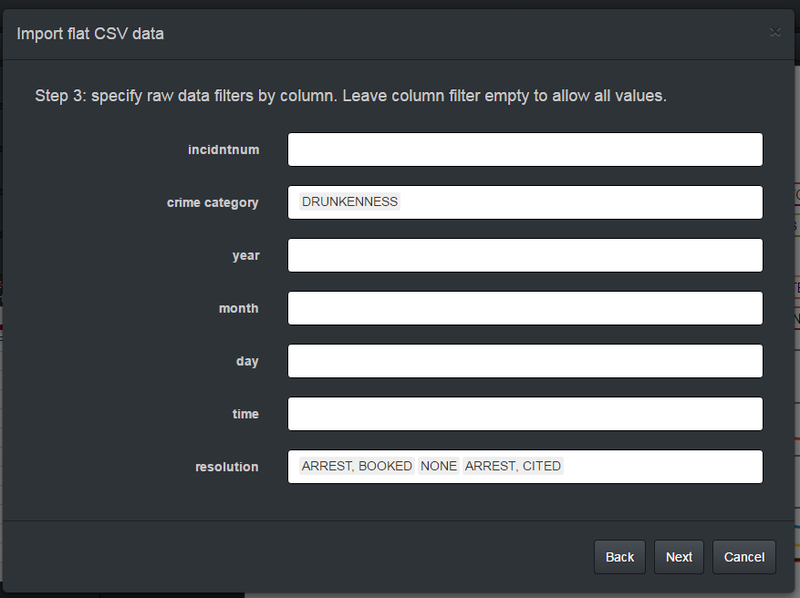 On Wizard screen #3 (filtering), select crime category - DRUNKINNESS (apparently, this type of offense is the focus of our little research) and a few types of resolution that are common for this type of offence: "ARREST,BOOKED", "NONE", or "ARREST, CITED". Apparently, during the 2015 crackdown, police officers were instructed to take serious offenders into custody, give warnings to peaceful random folks, and use less citations. As you see, in all these examples we used only one kind of aggregate functions - COUNT. Read about AVG and SUM functions here.